Soul Eater begins with a fairly interesting concept: An academy exists where students team up in Weapon and Meister pairs and learn to fight those who decide that eating human souls is a great idea. The interesting part for me is that the “Weapon” member of each team actually transforms into a weapon to be wielded by their Meister. The goal of these each of these teams is to have their Weapon consume 99 evil human souls and 1 witch soul (all witches are evil, apparently) so that the weapon can become a death scythe, fit for use by Lord Death – the aforementioned academy’s headmaster. The Meister doesn’t really seem to get anything out of the deal…but let’s not worry about that. 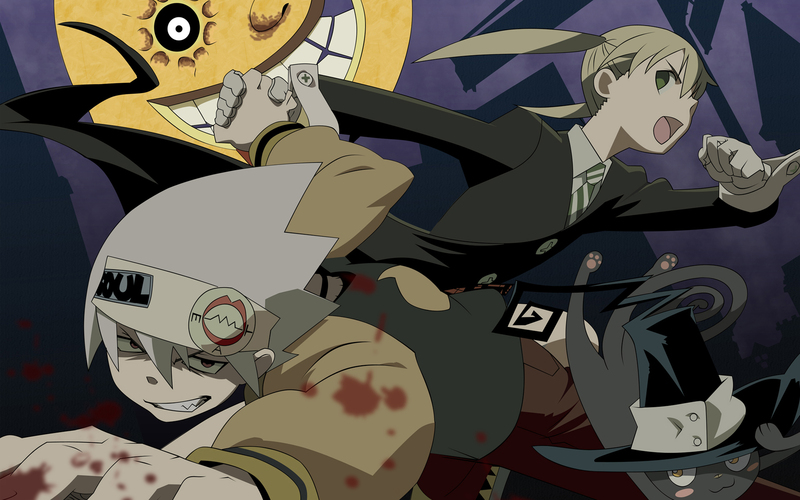 The anime follows 3 main teams that attend the Death Weapon Meister Academy (DWMA, for short): Maka Albarn and her scythe Soul Eater (no, I have no idea what kind of parents would name their child that), Blackstar and his multiweapon Tsubaki, and Death the Kid (Lord Death’s son) and his twin pistols Liz and Patty. There are a number of supporting characters that are generally well done, and while many remain in the foreground for most of the show there are some that are seemingly forgotten and disappear for long stretches at a time (here’s looking at you, Blair). I need to get this off my chest right away – Blackstar is quite possibly the most obnoxious and annoying character I have ever seen in an anime, his brazen displays of overconfidence make me grind my teeth in frustration. The only good thing I can say about him is that he is consistent…and also gets what’s coming to him on multiple occasions. His partner Tsubaki is, by comparison, incredibly likeable, loyal, calm and completely unlike Blackstar or anyone that would ever want to partner with him (if there is such a person); heck, the anime even comments on this on multiple occasions. Death the Kid, who is apparently a Reaper rather than human (could have fooled me), is a person completely and utterly obsessed with symmetry – to the point that he will break down when confronted with chaotic designs. Thankfully this trait is only really abused during the first portion of the show. Despite his flaws he has a fairly level head on his shoulders and beats Blackstar in popularity by a mile. Of his twin pistol partners, Liz is fairly unremarkable and Patty is an incredible ditz that can also suffer bouts of near-psychotic rage. The one complaint I have about the Kid is that there is absolutely no consistency in his power level. In the majority of fights the antagonist simply shrugs off the compressed soul energy he uses for bullets, but in other fights he wins with what seems like minimal effort. 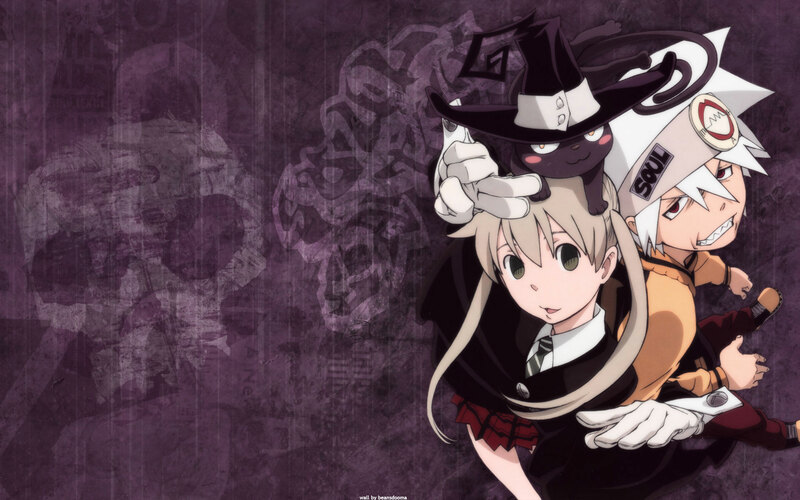 Maka and Soul are really the main protagonists of Soul Eater, as well as being my favourite team out of the three. While their relationship isn’t perfect they work well together and strive to improve at every opportunity. 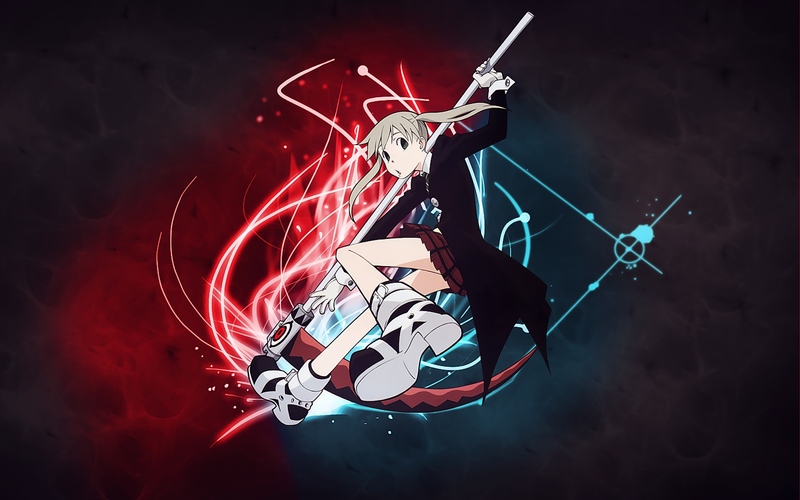 On top of this Maka clashes with Blackstar on several occasions, which is always a plus =). At the beginning of the show they have collected all 99 evil human souls and only have the witch’s soul left to find. From there the plot gradually expands. I don’t really want to go into details beyond what I’ve already written about, but I assure you that the plot is generally pretty darn good. However, if you watch this anime then you will be disappointed by the ending (at which point the anime diverges from the manga). I suppose I had better comment on the visuals and sound. Soul Eater looks nice, it really does, but I don’t think the animators have ever been exposed to what a normal nose looks like. I didn’t really mind, but man did those things look weird (alright, I may be exaggerating, but something had to be said). Another point worth mentioning is that Maka is drawn in a way that makes it incredibly hard to make her look intimidating, despite the artists trying to achieve that very effect in certain scenes (I think it has something to do with those strange floppy side-ponytail things she has going on…that and the micky mouse gloves, possibly). In fact, I think it’s only really done well in one of the ending sequences. 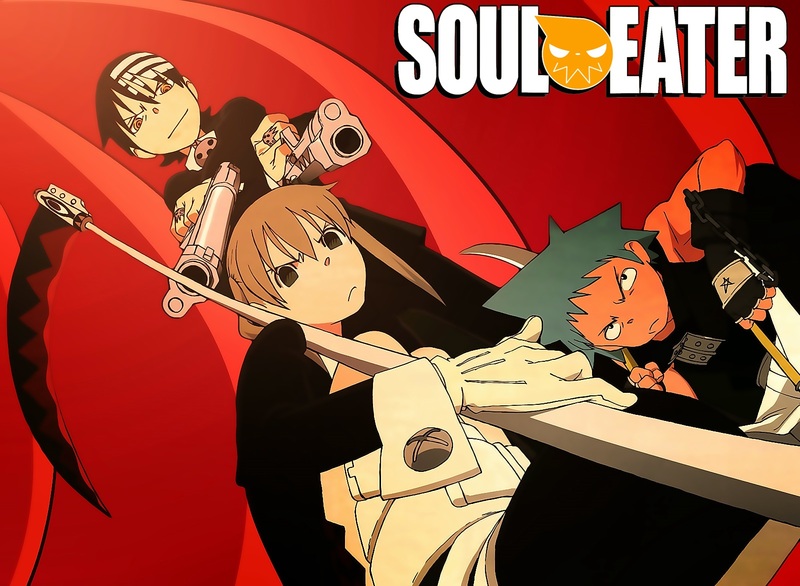 Summary – I really enjoyed Soul Eater; the animation, characters, combat, concept and story were all excellent (minus Blackstar) – up until the last 5 episodes or so, at which point the anime diverged from the manga (which is still going, last I heard). You’re still going to want to watch those episodes once you reach them because otherwise you will never gain any sort of closure, but I guarantee that you will be disappointed. If the quality of the anime had remained consistent, and Blackstar had never existed, this anime would have been awarded a 9.0 at least. But as it is I can’t bring myself to give it more than a 7.5. P.S. – I really hate Blackstar*. *In case you’re wondering, no, my hatred for Blackstar did not actually have an impact on the final score. 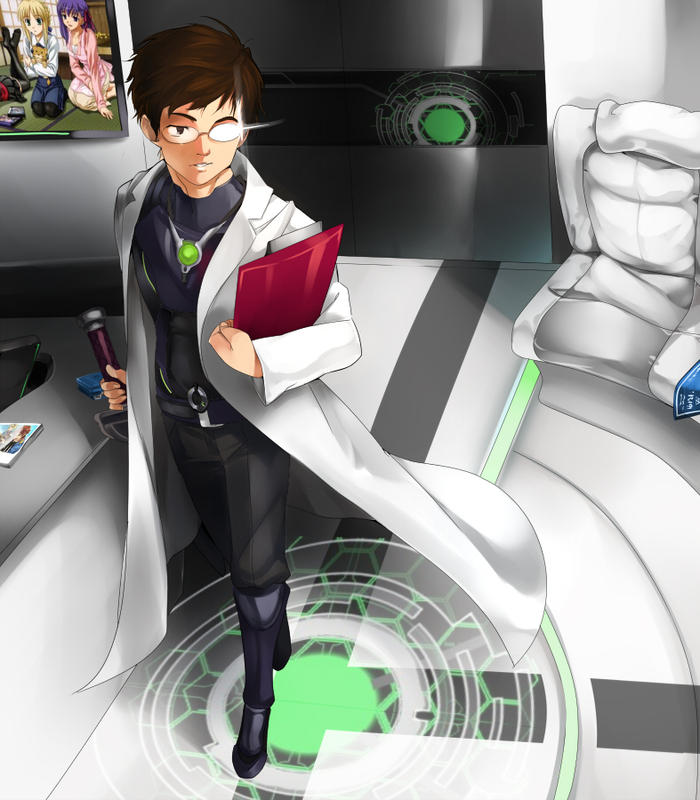 This entry was posted in Anime Reviews, Reviews and tagged Anime, Anime Review, Review, Soul Eater, Soul Eater Review. Bookmark the permalink. Despite the ending it’s definitely worth watching. The dubs were of excellent quality, which I think i’ll add to the review. I used to be a dub-only kind of guy, but that was rather narrow-minded, considering that the vast majority of anime aren’t dubbed. I’d be willing to try Soul Eater dubbed on your recommendation, but it looks like Hulu only has the full series subbed, so that’s what I’ll be watching. Uh, you do know that you call your TEACHER sensei, right? Sensei can be used for anyone of higher learning, or that you feel you can learn from – doctors and teachers are just two examples of positions that merit that honorific. It could even be used as a joke title. Either of those uses would fit with Jiraya, I believe. The manga is set to end in September this year, according to my good friend wikipedia. I’m not entirely sure why people are so against dubs. I’m not fussed either way, but I have yet to see a dub that was of poor quality. I’m really tired of everyone complaing about this show’s ending when there are other anime out there that have WAY worse endings (Sekirei, dream eater merry, etc). From what I heard, people only hate the way the last fight ended (which I agree), but come on, didn’t the anime have a satisfying ending? As in, no goddamn cliffhanger? I don’t exactly get the hate for the character blackstar. I mean the character is that “guy who starts off funny and cocky but gets better later on”, and you wrote “despite their flaws”, which I hope means that you’re saying that it’s a good thing that the characters have flaws. I agree that there are series with worse endings than Soul Eater but that doesn’t mean that the ending should be excused. For me the issue is how the show was suddenly rushed into a final arc that it hadn’t prepared for after having followed the relatively relaxed pace of the manga for its first portion. I’m not saying it loses points for not following the manga, but because it feels rushed at the end. While I have exaggerated here, Blackstar was a character that I never liked. He was annoyingly cocky throughout the show (to the point where others were inconvenienced) and I would argue that he didn’t get better later on. However, that doesn’t mean he’s completely unlikeable, just that he wasn’t my type of character. This is a review, but it’s also my opinion. I believe that my “despite his flaws” sentence related to the way that Death the Kid’s obsession with symmetry could have been easily overused, and I was happy that it wasn’t. It could have gotten annoying but at the level it was used became just an interesting personality trait, which was a good thing.